If you’re anything like me (I sure am!) then you’ve spent a lot of time with the ‘MechWarrior’ games. 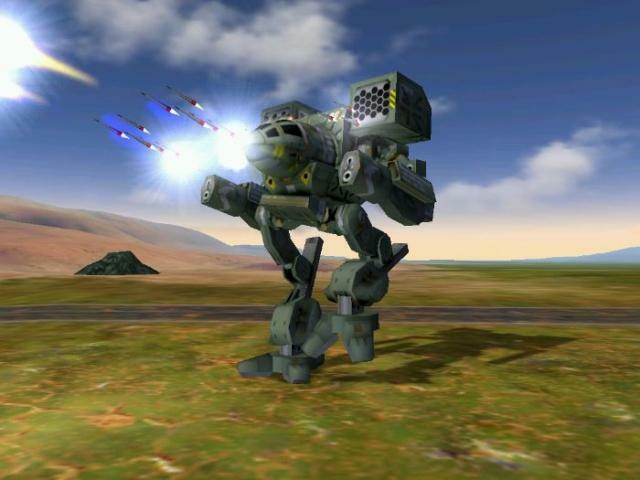 There’s just something about storming around in a giant robot, shooting down your friends. It’s an experience that can’t be imitated, and hasn’t been done well in ten years. But that experience is back, thanks to MekTek. Back in the year 2000, when ‘MechWarrior 4: Vengeance’ came out, I was working at a Wizards of the Coast store as the 2nd assistant manager. You may know WoTC as the guys that make ‘Magic’ and ‘Pokémon’ cards, or as the folks that own ‘Dungeons & Dragons’. For a few years in the late ’90s and early ’00s they had retail stores. Our particular store had the usual stuff – packs of cards, role playing sourcebooks, ‘Warhammer’ figures – and one thing that most retail locations don’t: a 10 computer LAN. We’d get to work every day, greet customers, ring up purchases, and run tournaments. You know, work stuff. But at the end of the day we’d close up shop, head over to the bakery across the way to get first dibs on pastries that would otherwise have been thrown out, and jump on the LAN. We went through a lot of games on those computers, starting with ‘Half-Life’, then moving to ‘Unreal Tournament’, ‘Counter-Strike’, ‘Day of Defeat’, ‘Age of Empires II’, ‘Everquest’, ‘Diablo II’, and finally we jumped into ‘MechWarrior’. I’ll never forget the amazing times I had with that game. Testing out my mechs with different weapon loadouts, trying crazy new strategies, and having one fantastic experience. Oh, and say what you will, I always went back to the Mad Cat. 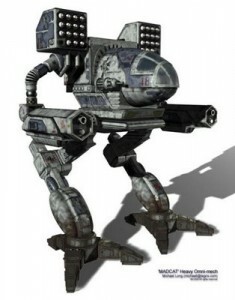 You just don’t get a better mech. And you don’t get a better mech game either. No one else gets it quite right. When FASA was closed down, I lost all hope of seeing a new ‘MechWarrior’ game. But there was no reason to worry; Microsoft is working on a brand new ‘MechWarrior’ game designed to reboot the franchise. As an added bonus, and what’s more than likely a marketing ploy by Microsoft, ‘MechWarrior 4’ is now available absolutely free. You can pick it up from MekTek, though you’ll have to install it through their MTX client. It’s been hammered pretty hard in the last few days, since the release has gained a huge amount of attention, so you’ll have to put up with a less than fully functional install client. There’s a new client being released in the next few days that should clear up some of these issues. If you’re having trouble with the download – I sure did – MekTek has made the files available to download as torrents. If you’re a diehard ‘MechWarrior’ fan, you’ve probably skipped through all the text to find the link. If you never played a ‘MechWarrior’ title, and you’re still reading this instead of downloading the game, this is the perfect time to start. ‘MechWarrior 4: Vengeance’ is an older game, so you’ll have to forgive the graphics, but it’ll run on almost any computer made in the last seven or eight years. It requires a 300MHz CPU and a whopping 64MB of RAM.